We are back with another quick and simple recipe! 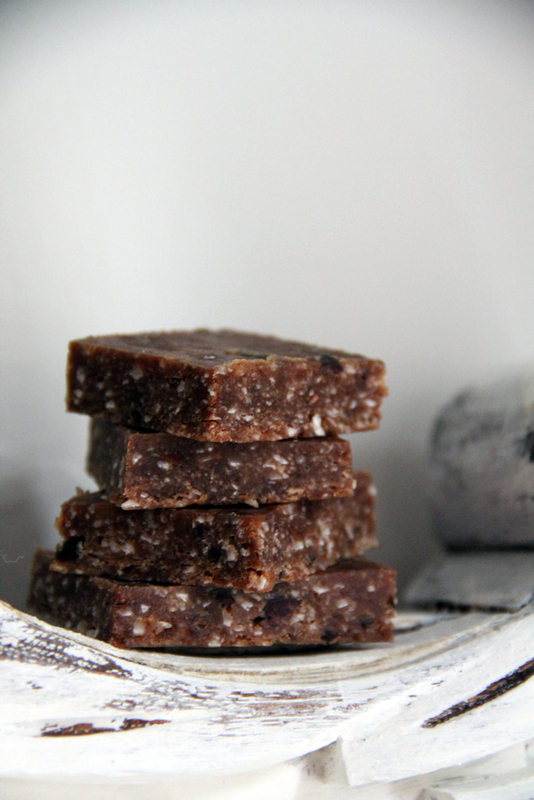 So with the inspiration of that – Zuzana created these simple awesome and nut-free bars, that combine all the things I love! Place pitted dates in the food processor and process until broken down, next add the Tahini. Once that is well blended add the Coconut, process. Finish by adding the Lime. Once it is all well combined remove dough-like batter to a bowl, and using a spoon mix in Cocoa Nibs (amount you desire). Roll the dough into a large ball and place between 2 sheets of parchment paper, using a rolling pin - roll flat until about 1/4" thick. Place in freezer for a few hours, then carefully use a knife or cookie cutter to cut them into desired shapes. 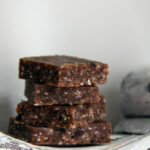 Feel free to experiment, instead of cocoa nibs - use vegan chocolate, add in some dried fruit - let your imagination run wild! In Case You Are Wondering…. The only source of sesamin and sesamolin. Both of these lignans have been shown to lower cholesterol and protect the liver from oxidative damage. 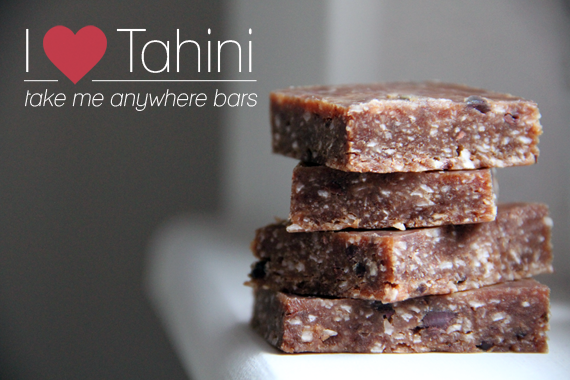 One of the great things about having Tahini in the house is how versatile it is! You can use it for something sweet like these bars, or savory, like hummus. The options are endless if you let your imagination just create!